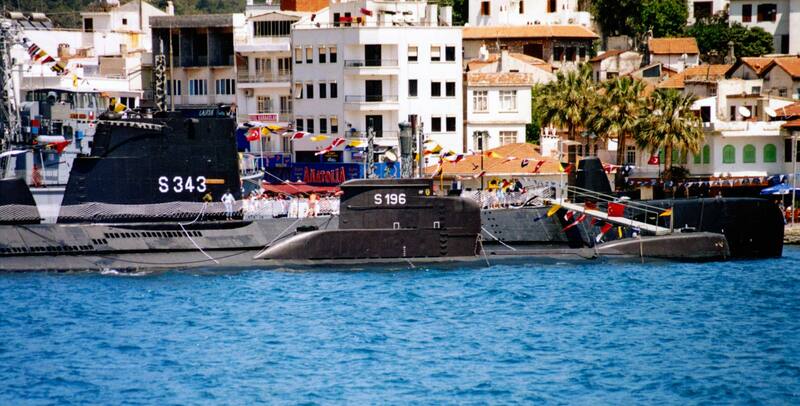 S-196 U-17 in Marmaris on 28 April 2005. She visited the city during Marmaris Maritime Fair. Note the size difference between U-17 in foreground and Tang class TCG Pirireis in the background. U-17 was decommissioned on 14 December 2010. Italian helicopter cruiser, C-550 ITS Vittorio Veneto in Istanbul. 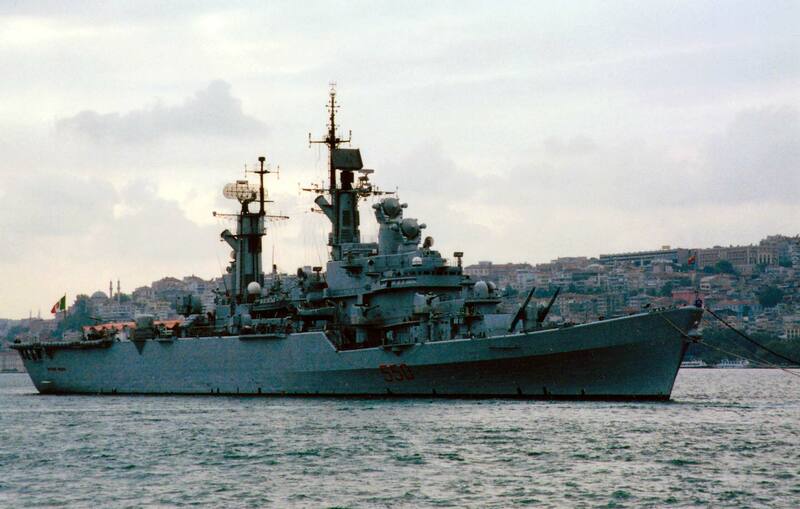 She visited Istanbul a few times before being decommissioned in 2003. I have no date for this photo but it looks like late 1990’s. 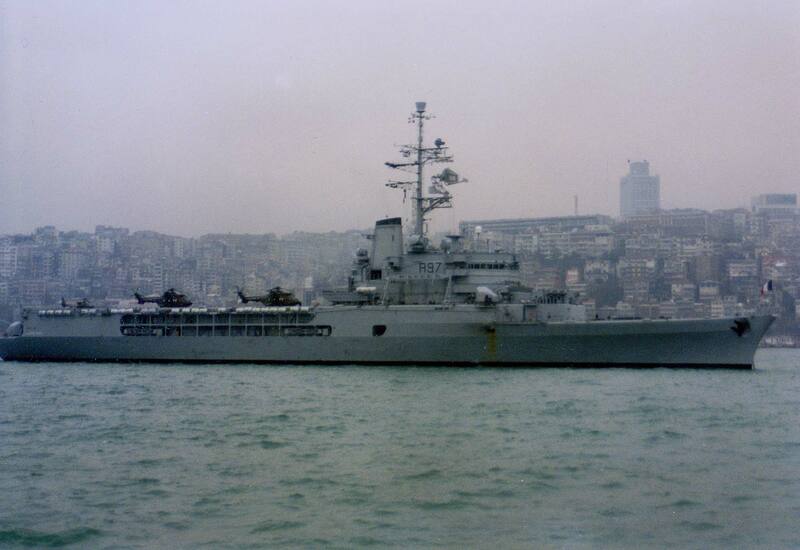 French helicopter cruiser R-97 FS Jeanne d’Arc in Istanbul on 12 February 1996. She visited Istanbul a few times during her training cruises for French naval cadets. 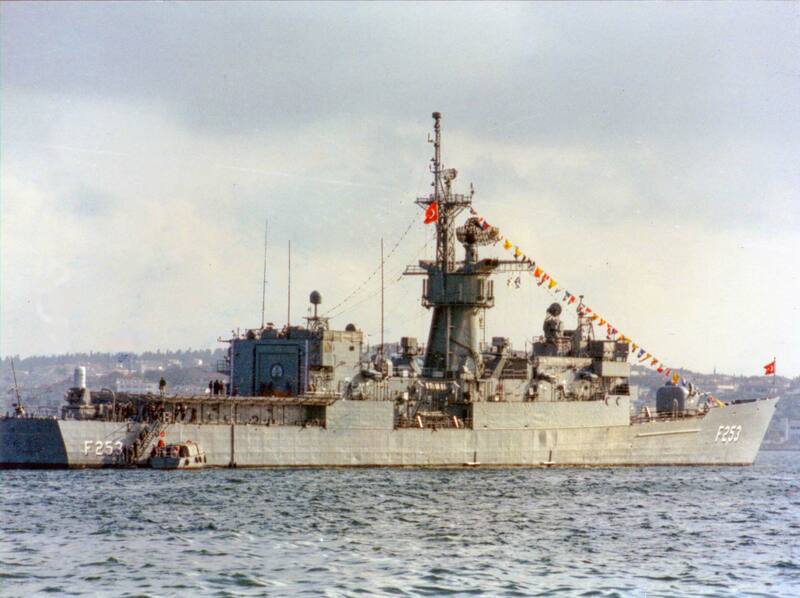 F-253 TCG Zafer in Istanbul on 29 October 1995. She was commissioned in US Navy as USS Thomas C. Hart in 1973 and served untill 1993. 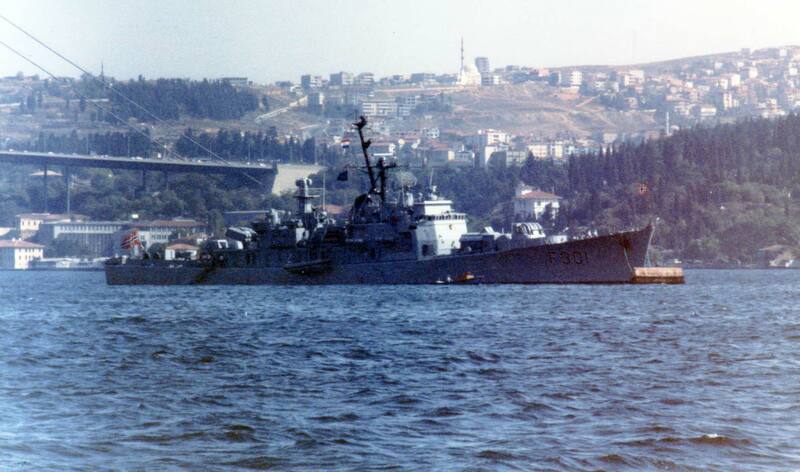 She was transferred to Turkey in 1993, through the Security Assistance Program and renamed as TCG Zafer. She was decommssioned from Turkish Navy in 2012 and in June 2016 she was sunk as target. F-301 HNoMS Bergen in Istanbul on 11 October 1992. The Oslo class frigate of the Royal Norwegian Navy was commissioned on 22 June 1967. She served till 3 August 2005. Like last weeks post, she is one of her kind as I have not seen any other Norwegian warship in Istanbul. 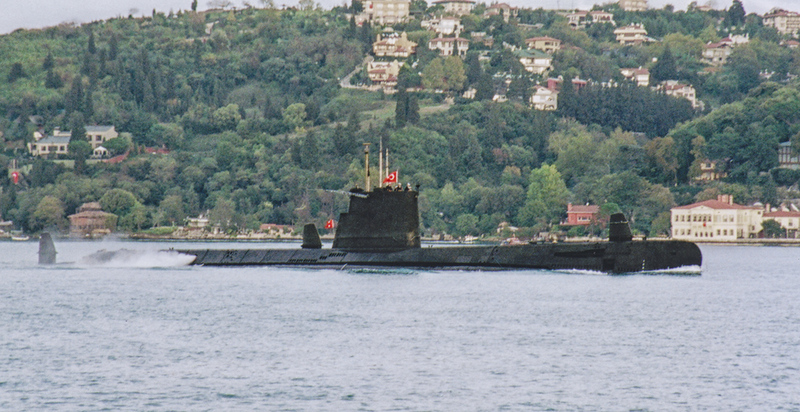 A-302 SAS Outeniqua in Istanbul on 15 September 1993. It was her inaugural voyage from Ukraine to South Africa. She was built as Arctic supply vessel of Project 10621 in Ukraine for Russia and bought by South Africa. She was decommissioned on 30 July 2004. As far as I know she is the only South African warship ever visited Istanbul. 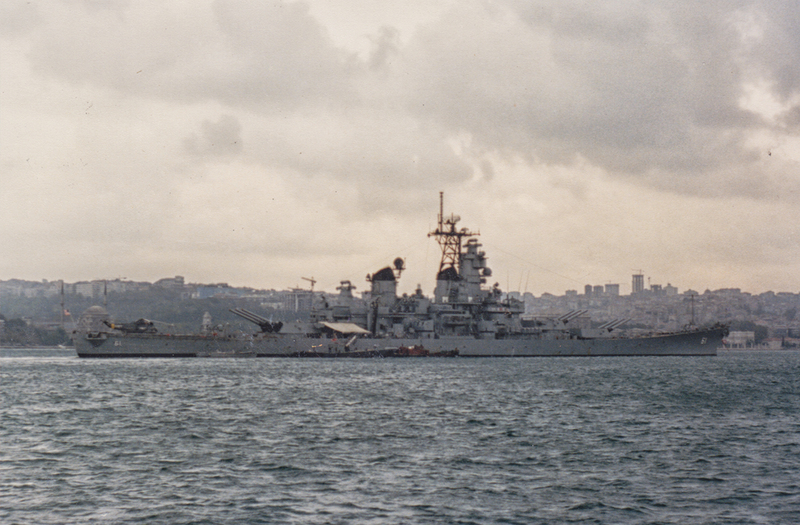 BB-61 USS Iowa in Istanbul on 5 October 1989, just a few months after the deadly turret explosion. A ship from the era when they built real ships and didn’t care about stealth. She was decommissioned in 1990 and turned into a museum. TCG Pirireis in Istanbul during a naval parade. This photo was taken between 1998 and 2003. She was decommissioned in 2004 and serves as a museum today. 19th May 1919, is regarded as the beginning of the Turkish War of Independence. We thank those who gave their lives to free our homeland from occupation. 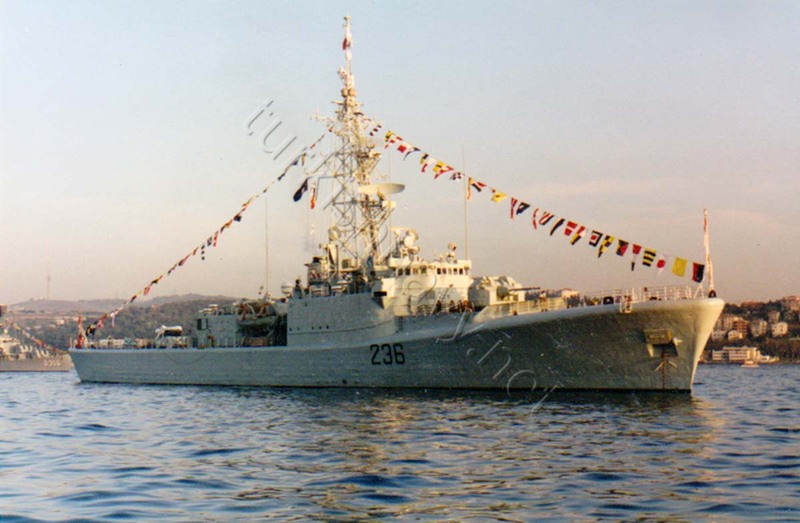 HMCS Gatineau in Istanbul on 29th October 1992. She was Canada’s contribution to NATO’s STANAVFORLANT. She was decommissioned in 1998 and scrapped in 2009.